He completed his primary and secondary education in Arhavi in 1981. 1984 He graduated from the Faculty of Civil Engineering, In 1990 completed the faculty of the KTÜ Faculty of Medicine. 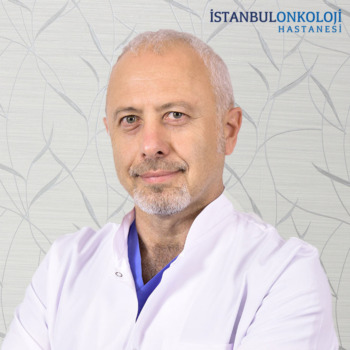 In 1996, he received the General Surgery Specialist from Okmeydanı Training and Research Hospital. Also in 2001, at Yeditepe University. Master of Business Administration, 2008 Marmara Unv. He graduated with a Ph.D. in Health Institutions Administration. He studied language in the USA for 3 months and speaks Turkish, English and Laz. He served in Konya and İzmir for 2 years (1990-1992) and in 1993 for short term. He worked as an assistant at Göztepe Training and Research Hospital (1997-2009) and as an Instructor at Yeditepe University (2000-2015). She worked as a Chief Surgery Specialist at the Private Maltepe Regional Hospital (2009-2014) and is currently a General Surgery Specialist. Istanbul Medical Chamber Divan Presidency and Hospital Representations. Istanbul Medical Association is a member of Istanbul Surgical and Emergency Surgery Association. There are published articles in about 40 national and international scientific journals.